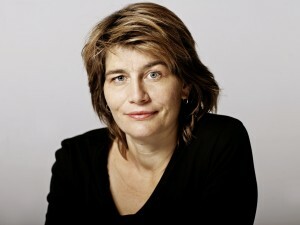 Credit: Agnete Schlichtkrull and Rosan Bosch Ltd.
Rosan Bosch is well known for many projects, including her redesign of LEGO’s development department and her radical revision of schools. Bosch believes that the design of a work or learning environment affects outcomes of those using the space. Her vision for schools began from observing how children act, socialize, and learn today, and the result is far from the traditional classroom. What she has installed in Scandinavia has spread to other parts of the world, including the United States. In this edition of ASTC On Air, Bosch talked about her vision and projects, how her ideas have been received around the world, and how her ideas can translate to the design of science centers and other out of school learning environments. Have feedback or a suggestion for a future edition of ASTC On Air? Let us know! Email web@astc.org. Be sure to keep an eye on ASTC communications for information about the next installment of ASTC On Air. Another exciting guest will be announced soon!